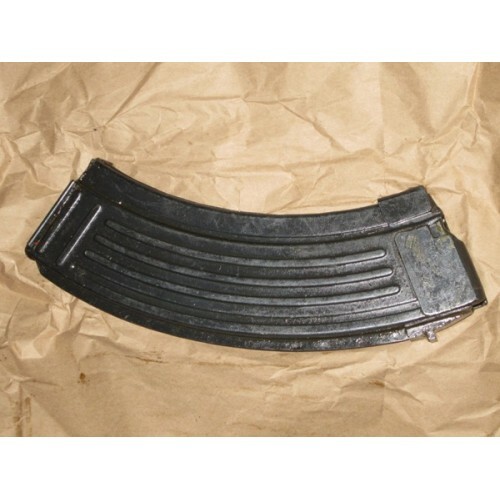 Yugoslavian 7.62x39 30 round blued M64 bolt hold open magazine in good to very good surplus condition. May have scratches, finish wear, or minor dings, and will come COATED in cosmoline. 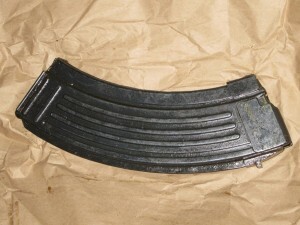 It has the M64 BHO notch cut at the top left side of the magazine designed to work with the BHO mechanism of the M64, but the follower will also hold the bolt open for standard AK rifles. I recommend soaking the mags in some WD-40 or other viscous oils to get the cosmoline off. If the cosmoline is extra thick, you can place them in a bucket and dump boiling water over them, but you need to oil them well after to prevent rust.